This badge was issued to Mohammed Elagouz on 04 Sep 2017. This badge holder supports and helps to lead the Enterprise Design Thinking effort in their teams. The earner designs the approach, runs plays, and helps the team play the Enterprise Design Thinking game. 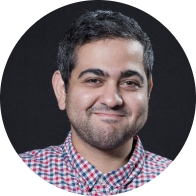 Guide large teams through the Loop––from ideation to user understanding, making and testing, reflection and iteration, to delivery of a delightful experience. Articulate the value of design thinking activities, by leading and motivating others to participate. Create sharable documentation (case study, blog post, etc.) describing the outcomes achieved with Enterprise Design Thinking. 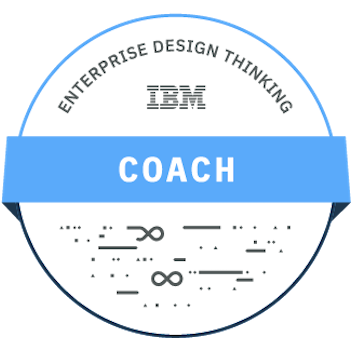 Satisfy all published standards of Enterprise Design Thinking Coach. EARN: You can earn the Coach Badge by participating in intimate, in-person training and evaluation. Contact IBM to learn more at designthinking@us.ibm.com.